Conflict happens in all our relationships. Sometimes we need something that someone else needs. Sometimes we think we should do one thing and someone else has other ideas. 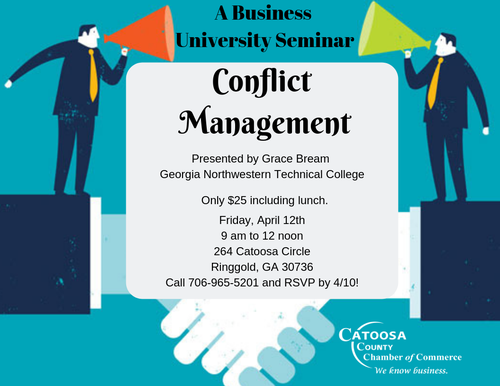 Join us to learn about different conflict management styles, your own preferred style, and how to make conflict productive. We’ll also discuss how to turn difficult conflict into more positive conflict. You’ll have a chance to practice different styles and learn which style is best to use when.